Meditation is a way of life and one should do this first thing every morning. It is one of the best ways to know thyself and stay connected with your eternal essence. Meditation is two way communication. Prayer is when you talk to the God whereas Meditation is when God talks. Daily practice of meditation increases your focus, reduces stress and prevents from many ailments as every cell in the body is filled with more energy and you feel satisfied, happy and joyful. It also decreases mental illness, aggressiveness and clears phobias and fears.Meditation is a way of life and one should do this first thing every morning. It is one of the best ways to know thyself and stay connected with your eternal essence. Meditation is two way communication. Prayer is when you talk to the God whereas Meditation is when God talks. Daily practice of meditation increases your focus, reduces stress and prevents from many ailments as every cell in the body is filled with more energy and you feel satisfied, happy and joyful. It also decreases mental illness, aggressiveness and clears phobias and fears. Due to the following benefits one should do meditation daily preferably in the morning. 1. Relaxes Mind & Body: Meditation helps to still the mind which in turn relaxes the body. Research has shown that only 20 minutes of meditation gives benefits equivalent to 6-7 hours of sleep. Meditation is an easy and natural way of healing the body. 2. Nourishes and enriches the soul: Meditation is the most beautiful way of going within and knowing yourself. It helps in nourishing and blossoming the Divine within. When you get in touch with the silence within yourself, you will know that everything in life has a purpose. 3. Slows Ageing process: Daily meditation has been linked to healthier brains in older people. It helps to alleviate the stressful and unproductive thoughts. 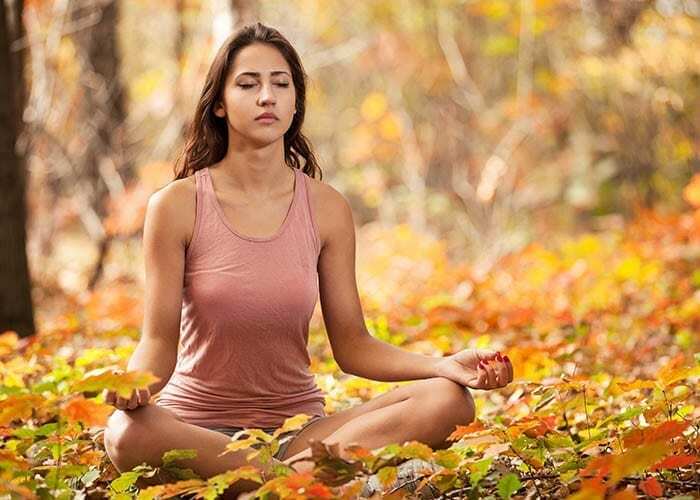 Regular meditation reduces the negative thoughts which is believed to slow the volume loss in the brain tissue which further slows ageing process. Meditation increases melatonin levels which help in reducing stress. Stress is the main cause of ageing because it effects the immune system. According to one scientific study people who do meditation appear much younger than those who are not doing meditation. 4. Very helpful in post operative healing: As Meditation has power to relax the brain and the body which is very much helpful in regulating the mood and enhancing the immune system, it also improves the blood flow to the affected area of the body which in turn helps to control pain and patient feels relaxed and process of healing becomes fast. 5. Relaxes the Nervous System & stressed muscles: Meditation has the power to reduce negative effect of anxiety, stress and depression as it soothes the nerves. Meditation slows down heart rate and takes you to a state of deeper than sleep stage and soothes the stressed muscles. 6. Enhances energy, strength and vigour: High level of cortisol in the body for a long time in the body can lead to anxiety, depression and irritability. 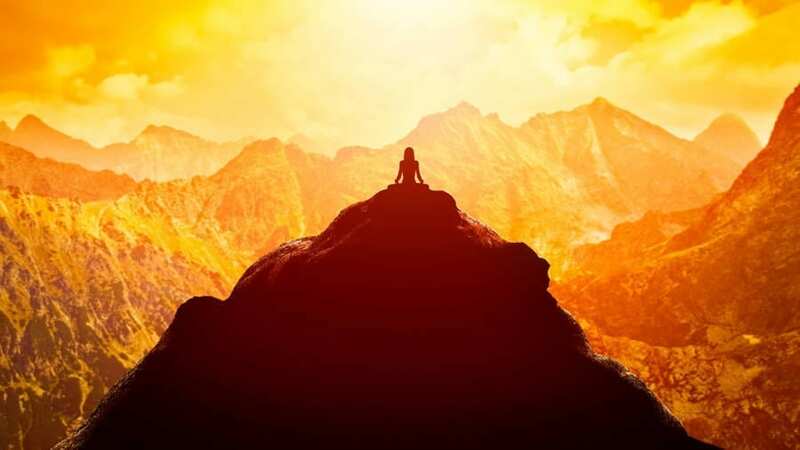 Daily meditation especially in the morning is very helpful in controlling the cortisol level which boosts energy and gives strength to the body. During meditation cardiovascular health improves and one achieves greater amount of relaxation and feels more energetic. 7. Reduces Stress: Simple meditation even done for 10 minutes helps in reducing stress. Whenever, one feels stressed for one or the other reason doing meditation even for a few minutes can restore your inner peace. Meditation is one of the best tools to de-clutter the mind which reduces stress. 8. Boosts Immune System: Meditation increases the electrical activities in the left side of the brain, which produces more defense cells and helps to boost immune system. Study suggests that regular meditation besides reducing blood pressure is very much helpful in increasing immune system. 9. Reduces Anxiety and Depression: Anxiety is one’s inability to regulate emotional responses to apprehend threats. Meditation is very helpful in reducing anxiety and also to control depression. Research has found that meditation is also very effective way to treat depression. 10. Helpful in controlling BP: About 75 million people in US have high blood pressure and many people don’t even know that they have it. One can treat BP in a natural way simply by doing daily meditation . While meditating our stress level goes down drastically and whole system in the body begins to normalize which results in reduction of blood pressure.